Call or text 07982 087 616 to arrange a convenient time for you. 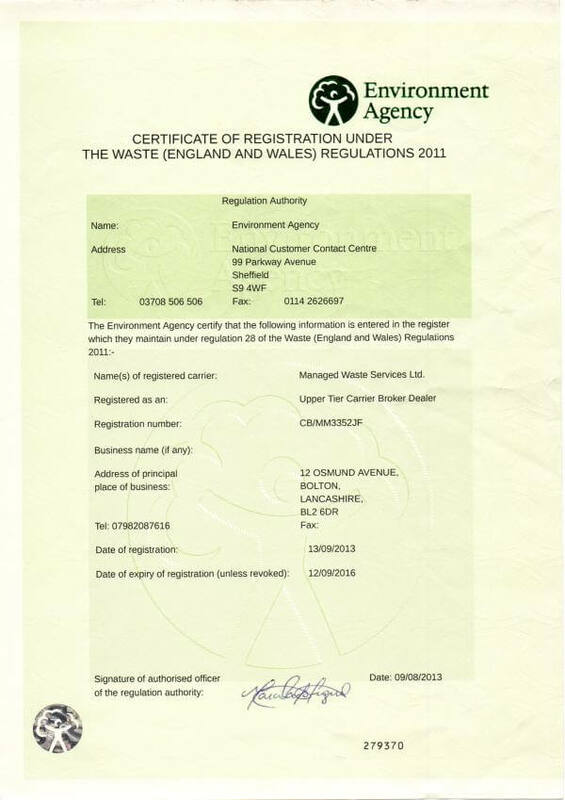 Managed Waste Services offer a guaranteed fast and efficient collection and disposal service of industrial scrap metal. Site clearances and contract collections of scrap metal. And to deter and help to combat theft it is now a criminal offence to offer to buy/sell scrap metal for cash. This was implemented as law on December 3rd 2012. 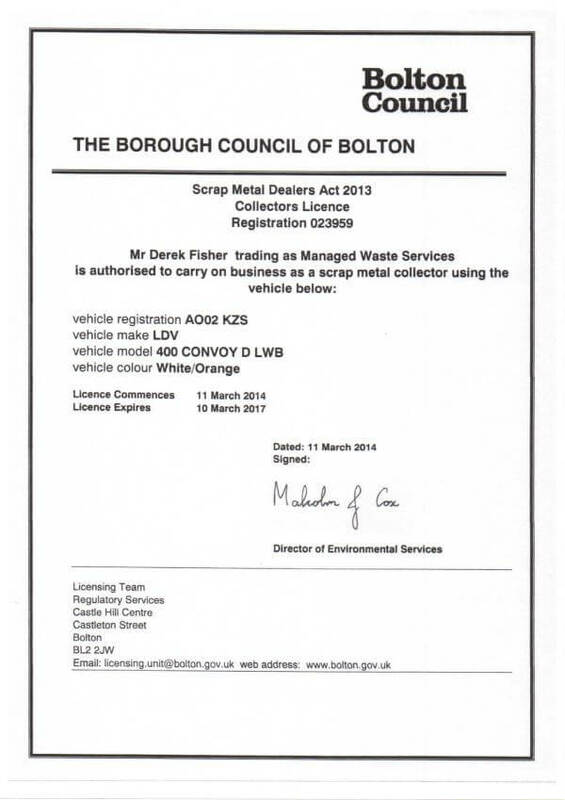 Private scrap metal removal - Fully Licenced! For a FREE quotation, please call or text 07982 087 616.